Inspired by the artistic legacy of the gorgeous region of Tuscany, the Picnic & Beyond Tuscan Elite Basket features a design fit for the region's immense cultural heritage. 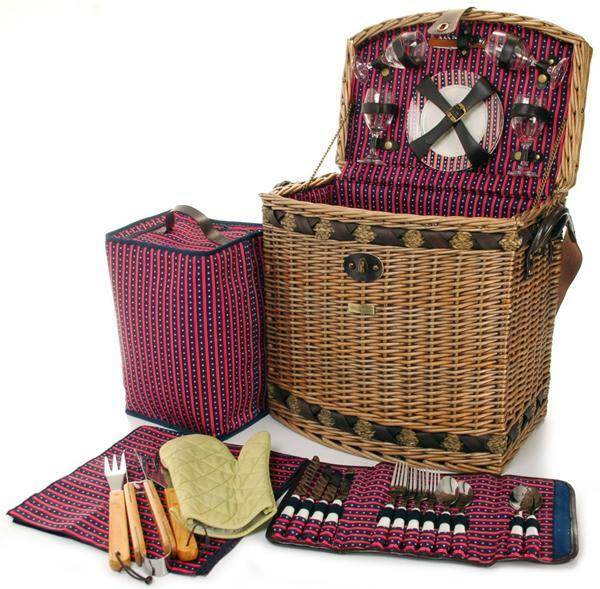 This deluxe picnic basket, with its eye-popping lining and traditional willow construction, allows you to take a little bit of central Italy with you on every picnic. 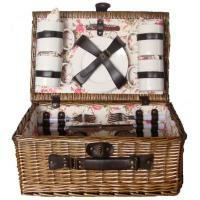 The basket comes with everything you need for a picnic for four... and then some. Along with the four ceramic plates, four sets of flatware, four wine glasses, a waiter's tool, and four napkins, the set also comes with three barbecue tools, an oven mitt, and an insulated cooler bag to keep your perishables fresh. 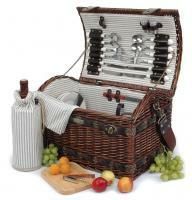 Make your next picnic an exciting journey with the Tuscan Elite Basket. Interior fabric is a little different than it looks in the picture. It was listed as coming with a blanket. It DOESN'T.